SchoolCare Works™ provides a cloud-based Service-as-a-Software (SaaS) flexible solution for your before and afterschool program needs. Whether you are a large school district with complex programs, a Boys & Girls Club, YMCA, community education service, or private program, SchoolCare Works™ can scale to help manage your program! Afterschool and Community Education programs can become complex quickly. SchoolCare Works™ is an innovative way to keep track of activities, registrations, classes and more while keeping parents involved too. Keep track of statements, payment activity, attendance and so much more. SchoolCare Works™ is specifically tailored to meet the needs of afterschool and out-of-school time programs. SchoolCare Works™ Provider Edition helps you manage your before and afterschool operations across your school district and multiple sites. Leverage our time saving tools to manage administration centrally or from each individual site to simplify your administration. Connect all of your sites and stay ahead of managing your operations. Real-time data helps you to easily manage your enrollment levels, student-teacher ratios, schedules, attendance, billing and reports across all of your programs, facilities and classrooms. SchoolCare Works™ allows for flexible scheduling to accommodate fluctuating schedules. Whether you manage daily, weekly or monthly calendars, SchoolCare Works™ can help you keep up with your schedules for students and staffing levels. Track and record attendance where it makes sense for your organization using the device that fits your operations: standard desktop computer, check in/out kiosk, or with our portable tablet version that offers off-line capabilities. Keep things simple by automatically generating the state information cards and other state or government mandated forms. Hassle free automation means necessary paperwork does not fall through the cracks and frees your staff to focus on what matters–the students. Whether you manage your billing centrally or from each site, SchoolCare Works™ features work together to make calculating your billing a seamless process. Scheduling and attendance-based rate schedules, adjustments and discounts are all automated to help save your staff valuable time and costly errors. 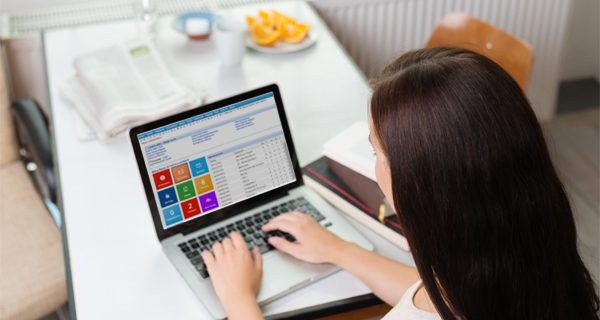 SchoolCare Works™ is designed to interface with student information systems (SIS), like PowerSchool and enterprise resource palnning (ERP) systems. Sync student information to maintain consistent student records and help with understanding the impact of your afterschool programs and other important outcomes. 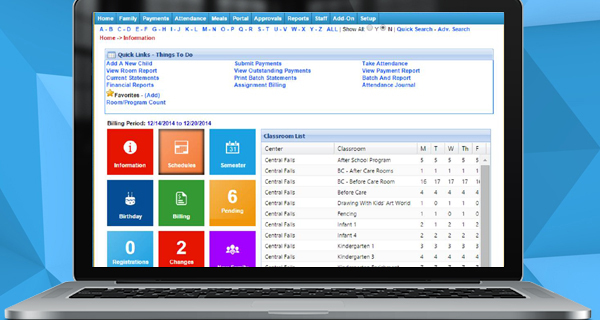 Add the SchoolCare Works™ Connect Edition and extend important time saving and convenient communication tools to your families, staff and third party providers. Provide students and families with custom enrollment processes. Dynamic content allows you to control the text that is displayed and the required information for registration. Cut down on time, while simplifying the process for the person registering! Our online family portal helps you and your families easily manage child and family data, schedules, attendance, billing and payment history. Parents can easily submit updates to their child’s records and schedules. Automatically generate billing statements that parents can view and pay online the way they want: credit card, debit card or draft. Families can view and print their invoices and payment history including year-end statements. Secure credit/debit card, ACH and recurring payment options allow parents to pay how they want, without extra effort from your staff. Communications are a key component of running a quality program. 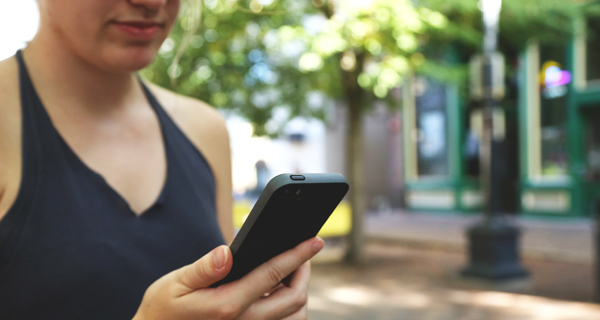 SchoolCare Works™ provides families with a secure and convenient way to access and send communications to you and your staff. Extend SchoolCare Works™ Connect to your third party providers. Provide same time saving features and communication tools your staff has for managing rosters, classroom ratios, emergency cards and directories while limiting their access and capabilities. SchoolCare Works™ can revolutionize the management of you afterschool programs!